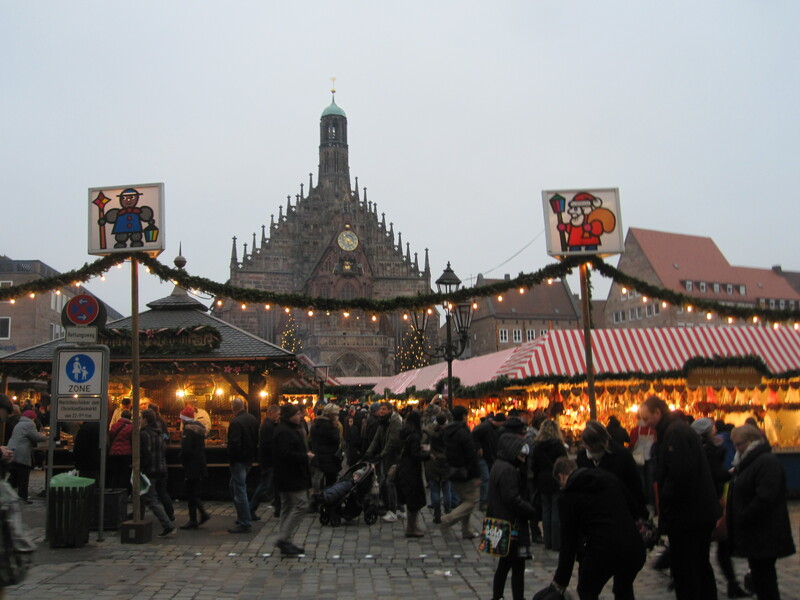 Nuremberg hosts one of the largest Christmas markets in Germany. All together it is a wonderful experience (except for the lack of places to sit down and rest while taking it all in). The weather can be challenging but cloudy skies and temperatures in the forties are bearable and keep you moving along. Stone benches (when you do find them) are cold and stay cold no matter how long you sit on them! 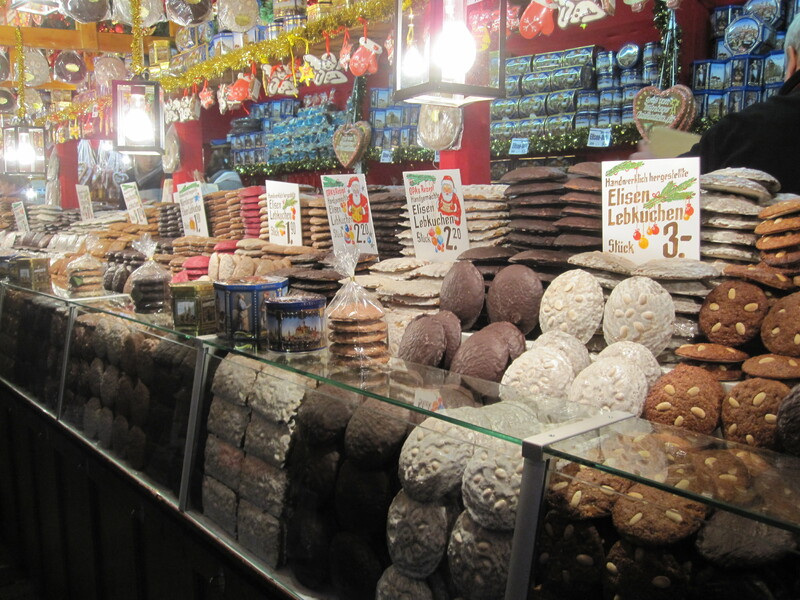 One of several stands offering Nuremberg’s specialty – lebkuchen, gingerbread in many variations. Because we were on this cruise and have other travels planned in the coming week, we have had almost none of our usual Christmas preparation. We have a wreath on the garage door and cards are sent, but that’s about it for our traditional practices. I have adopted a new spiritual practice for Advent, but it is not the same as weekly services. So we two have had a different approach to Christmas this year. Not better or worse, but definitely different. How do we retain the essential parts of Christmas when the trappings and works of the day are so different from the usual? Sorting out what is essential is the challenge before us. That, of course, is the life challenge for every day, too, but as with so many things, it all seems more important at Christmas time. In some ways having the question before us freshens the season too. How DO we keep the essentials alive at any time, with or without holiday trappings? My wish for you this Christmas is that you can sort out the essentials from the trappings in this season and every day. I wish you an open heart, ready to meet the world as it is, with hope for what it could be. I wish you peace. This entry was posted in Travel, Uncategorized and tagged advent, Austria, Budapest, Christmas, Christmas markets, Christmas preparation, Czech Republic, Danube, Germany, peace, Prague, the Christmas season, Vienna. Bookmark the permalink.